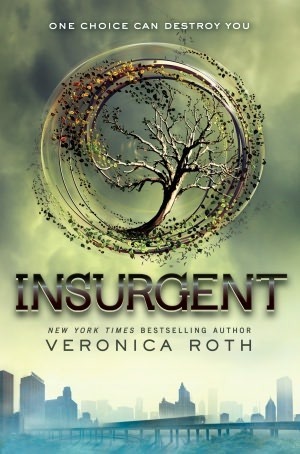 New York Times bestselling author Veronica Roth’s much-anticipated second book of the dystopian Divergent series is another intoxicating thrill ride of a story, rich with hallmark twists, heartbreaks, romance, and powerful insights about human nature. From Goodreads. This book was AMAZING. I was able to read it in one day, actually less than that. It had heart break, lies, love, forgiveness, anger. Now that Tris, Four, Caleb, Marcus and Peter have gotten away from Dauntless and the Erudites, they decide to head toward Amity. While there Tris is dealing with the deaths of both her parents, a secret Marcus is hiding from everyone that Jeanine doesn’t want to get out. When they get back with the other Dauntless, Christina has a hard time forgiving Tris for shooting Will. It is acceptable since they are best friends and he was Christina’s boyfriend and it had to be so hard for her. Luckily Uriah, Marlene and Lynn rally around Tris since she was the one who stopped them from being zombies basically. Four and Tris end up having a lot of problems, he doesn’t want her to risk her life but she is so adamant that she wants to be with her parents and Will. That is until she loses another person and gives herself to Jeanine who basically tortures her to find out more about her Divergence. Four ends up going to the compound she is at because he doesn’t want to be without her. She ends up with an unlikely savior in Peter. 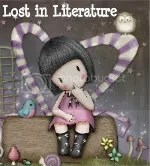 I don’t want to give too much away but you learn that there were secrets and lies throughout the whole book but in the end friendship and love will always overcome it. I gave this book 6 out of 5 stars as well because trust me it definitely deserved it.